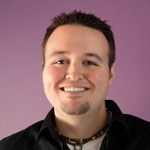 Justin Seeley is a staff author for lynda.com and an Adobe Certified Expert. He has several years experience in both print and web design, and has authored over 60 hours of instructional content to date. Justin is the creator of the Photoshop Quicktips Podcast, a show that consistently ranks int he top 25 software how-to podcasts in the iTunes store and his techniques have been featured in several publications, podcasts, and blogs. You can find more information about Justin by visiting his website and by following him on twitter. Rick Miller is a Senior Solutions Engineer for Education at Adobe Systems where he helps Adobe’s education customers find the solutions they need to enhance the pedagogical experiences of their students. Before working at Adobe Systems, Rick taught Photoshop/Digital Imaging at the prestigious Art Center College of Design in Pasadena, CA, and Digital Design at Cal Poly Pomona University, so he's cognizant of the unique challenges that face educators. 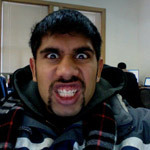 Rick is an Adobe Certified Expert in Photoshop, Lightroom, Acrobat X and Acrobat Connect. Additionally, Rick is an expert in color management. Moreover, Rick is a professional photographer who is certified on the Leaf and Phase One digital backs, and trains users on the Hasselblad digital back. Rick continues to consult with Law Enforcement agencies in the Forensic application of Photoshop. Janine Warner is a web designer, video trainer, and the author of more than 25 books about the Internet, including Web Sites DIY For Dummies, Mobile Web Design For Dummies, and every edition of Dreamweaver For Dummies. She’s also created more than 50 hours of training videos about web design and Internet marketing. Janine runs a full-service interactive agency that offers web design, video production, content strategy, and internet marketing services. 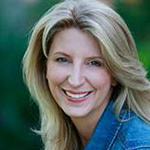 You’ll find more about her books and videos, as well as hundreds of free web design tutorials on her site DigitalFamily. With all the hype around HTML5, CSS3, and responsive design, it's no surprise that the hottest new features in Dreamweaver CS6 are designed to make it easier to create websites that adapt to small and large screens using the latest flavors of HTML and CSS. In this training session, author Janine Warner will introduce you to Dreamweaver’s new Fluid Grid Layout system, show you how it makes responsive designs easy to create, and if your designs get too complicated, how you set up your own media queries instead. She’ll also introduce the new Web Fonts Manager in Dreamweaver and show her favorite CSS features, and how you can use them to create rounded corners, text-shadows, and more. 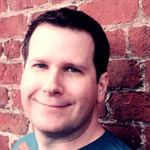 Colin Smith is founder of PhotoshopCAFE which has received over 30 million visitors. Colin has Authored 18 books. He has won numerous awards including 3 Guru awards. He's been nominated for the Photoshop Hall of Fame twice. Colin is a regular columnist for Photoshop User Magazine. He's been featured in almost every major imaging magazine, and is in high demand as a speaker at major industry events including PMA, Flash Forward and WPPI . He consults such companies as ABC Disney, Apple and Adobe. 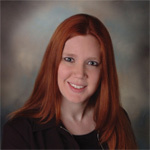 April Clark, owner of Nuance Consulting LLC, is a consultant and trainer for web and print publishing professionals. April is an Adobe Certified Instructor, an Adobe Community Professional and co-founder/co-chapter representative for the Cleveland InDesign User Group. April specializes in helping graphic designers take advantage of the power of the entire Adobe® Creative Suite®. She has been working in the field of graphic design since 1992. She has taught classes at Cleveland State University, Cuyahoga Community College and currently teaches continuing education classes at the Cleveland Institute of Art. She has also spoken frequently for Adobe at AIGA chapters across the U.S. and in Toronto, Canada. In October 2011, April presented the Adobe Digital Publishing Suite at Adobe Creative Camp Wellington in New Zealand. Harry Frank is a designer and product specialist for Red Giant, produces tutorials, commercials and product presets for Red Giant's numerous software titles. Specializing in motion graphics and visual effects, he also aids in product development and management. His roots in this industry began at the Fredonia School of Music at SUNY Fredonia, which uses a vigorous and selective Tonmeister curriculum (a combination of classical music studies and audio engineering.) 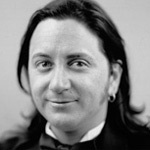 After working his way through the audio industry, Harry began to branch out into video editing and motion graphics in 1996. Years later, Harry has worked as a freelance motion designer with clients such as, Blur Studio, Bl:nd, Digital Kitchen, NBC, and more. A known figure in the motion graphics industry, Harry has produced flagship training titles for the community, such as Complete Training for Trapcode Particular, After Effects Expressions, and Trapcode Form Training. He can often be found hosting a course at FXPHD, and is an active speaker and participant in the user group circuit. Harry currently lives in Los Angeles with his wife and two sons. 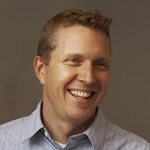 David M. Hogue, Ph.D. is Vice President of Experience Design (Fellow) at Fluid in San Francisco. He has 15 years experience studying and designing interfaces and combines his skills as an interaction designer and applied psychologist to bring deeper insight into visitor and customer behavior and motivation. 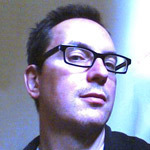 Dave teaches information design, interaction design, social media, and mobile design courses at SFSU, is an author for Lynda.com, is an Adobe Community Professional, and has a special interest in design process, methodology, and strategy. Clients include The North Face, Reebok, Timberland, Warner Bros., Charles Schwab, Wells Fargo, Sears, JC Penney and Sur La Table. Adobe Fireworks CS6 provides new tools to help you work smarter and faster. Learn about the power and versatility of Fireworks for screen design, including websites, mobile devices and interface. Adobe Shadow helps ensure your web content displays as intended across browsers, platforms, & devices. Front-end web developers and designers who work on mobile web projects will want to check this out! 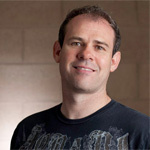 Prior to joining Adobe, Mark worked at Microsoft where he co-founded the ASP.NET team and led the creation of ASP.NET and the .NET Framework.